From undercuts to a new bleach blonde buzz cut, Justin Bieber’s epic hair transformations have been getting a lot of flack on the internet as of late. His newest hairstyle, a bleach blonde ‘do has created an Internet frenzy of Justin Bieber hair memes. Yep, no matter what hairstyle he chooses, JB cannot catch a break on the world wide web. While his new ‘do is undoubtedly on-trend, following the likes of Emma Stone, Taylor Swift, and Zac Efron. It seems to be the buzz cut and platinum color combination that has been causing such an uproar. While some fans took to twitter to show their love for the new style, others are less than thrilled by the 22-year-old singer's new dye job. One twitter user in particular, @mdj2502, writes, "Justin Bieber giving us a clinic on how not to style your hair. Thanks Justin! #justinbieber #haircut." Since '90s hairstyles are having a major revival right now, and I am all about changing up looks every now and again, I personally feel like the Biebs should ignore the haters and just do him. After all, anything is better than that hairstyle he sported at the 2015 MTV VMAs, right? To see JB’s new look and what the internet has to say about it, scroll down. If you are thinking that Justin's look is reminiscent of Eminem's '90s signature hairstyle, you aren't the only one. Instagram and twitter users alike have been drawing this comparison for about a day now, and to put it nicely, not everyone is so thrilled with the look. Some people are pretty sure that the city of Detroit wont like Bieber's copycat 'do. 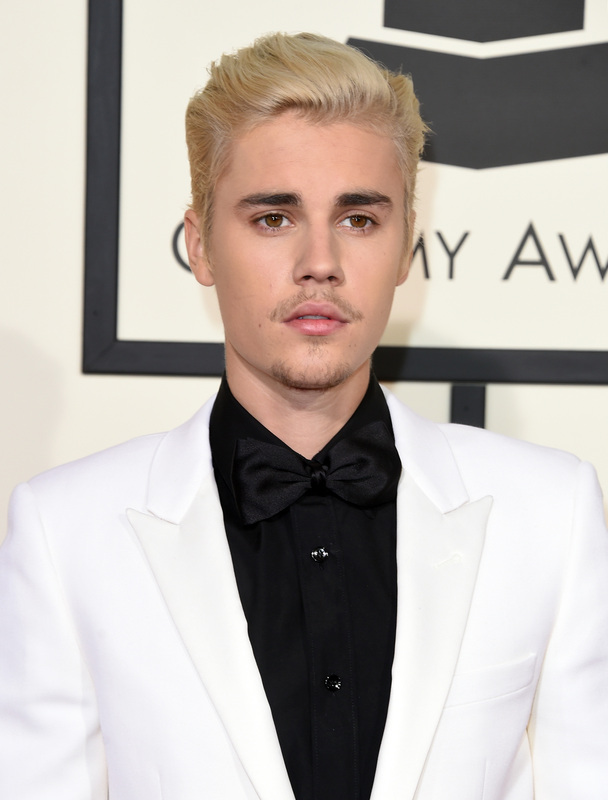 Since Bieber buzzed his just a month ago, it seemed like he wouldn't be sporting a new hairstyle for some time. I mean, his hair would have to grow before he could change it up, or at least that's what I thought. So it was a shocking to say the least when the Biebs posted photos of his new transformation. While some fans were shocked, others mourned his luscious brown locks. Some even got sentimental and commemorated his signature hair flip with a meme. After the shock and the grieving, it seemed as though Beliebers began to accept JB's hair for what it was, and to lay off a little bit, or in @alexandracarre9's words, "love him anyway." Other commentators seemed to just, well, be over it. So whether you love it, hate it, or are over it, enjoy JB's newest hair transformation while it lasts, because with a shaved 'do and a platinum hue, I don't think there is much else he can do to shock us in the hair department, that is unless he dyes it pink. Now that would make for some fun memes.